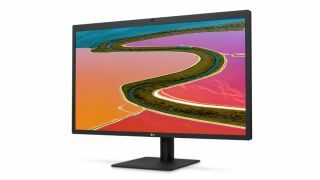 Apple has reportedly halted sales of LG’s 5K monitor following well-publicised interference issues with the display, which is affected by being in close proximity to Wi-Fi routers. According to Business Insider, the UltraFine 5K Display is no longer being sold in Apple stores – while the monitor is still on display in the firm’s many shops, if a customer wants to make a purchase, they won’t be sold one. Presumably punters will be told that Apple is waiting for the fixed versions of the 5K monitor, which LG is working on now. Business Insider said it received a tip from one of its sources, but confirmed Apple’s new policy by phoning the store in New York, where a representative said that sales were indeed suspended due to a hardware issue with the piece of kit. That said, if you head to Apple’s online store, the UltraFine 5K Display can still be purchased – but with a 5-6 week wait currently listed for dispatch. Presumably this simply reflects the timeframe Apple is expecting to get the new fixed monitors in, although obviously it’s only an estimate. Apple actually extended the online dispatch time to 5-6 weeks late last week, with the in-store policy apparently coming into play over the weekend. The problem with the displays first emerged a couple of weeks back, when LG officially confirmed that there was an issue with the monitor if it’s placed too near Wi-Fi routers, a flaw which causes interference from a flickering screen to a completely black one. LG subsequently stated it would fix the issue by using ‘enhanced shielding’ on the monitors going forward, and fitting this improved shielding to existing models, as well. We’ve contacted Apple for a comment on this matter, and will update this story with any response we receive.